Choosing the right migration strategy through critical analysis and identifying the challenges upfront has been our core focus to ensure successful migrations to our customers. We have helped our customers build applications on various cloud development platforms, such as Amazon Web Services, Windows Azure and Google Cloud Platform. 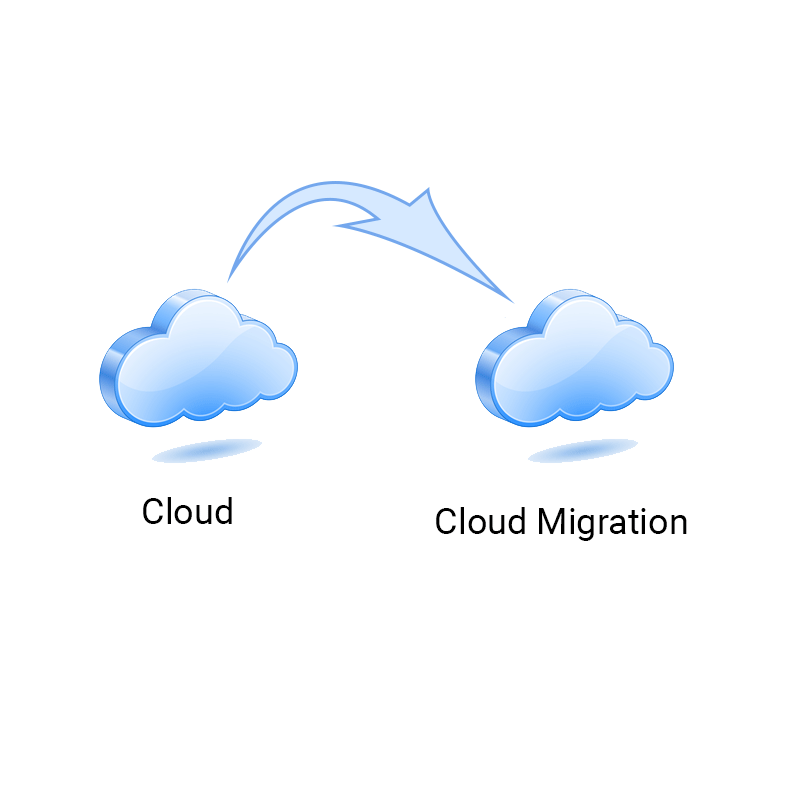 We have expertise in Cloud migration, moving data, applications or other business elements from an organization’s onsite computers to the cloud, or moving them from one cloud environment to another. We have established a mature process of transitioning across different cloud provider. We have used middleware, such as a cloud integration tool, to bridge any gaps between the vendor’s and the customer’s (or other vendor’s) technologies in successful migration to cloud service provider’s environment. Transitioning to the cloud or between cloud environments comes with the usual challenges compounded by having to store and manage data remotely across multiple locations. Hence our migration strategy gives special consideration for privacy, interoperability, data and application portability, data integrity, business continuity, and security. 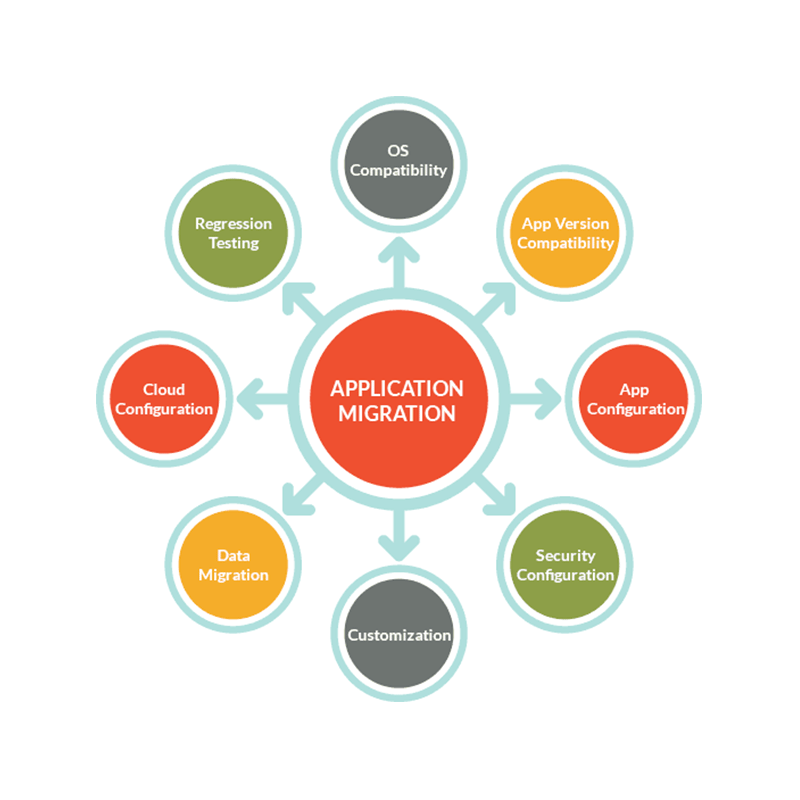 We understand migrating an application can be complicated because there are bound to be differences between the original and target environments, elements such as operating systems, management tools, the networking architecture, the storage system and the virtual machine (VM) configuration can all differ from those in the environment where the application was developed or deployed. 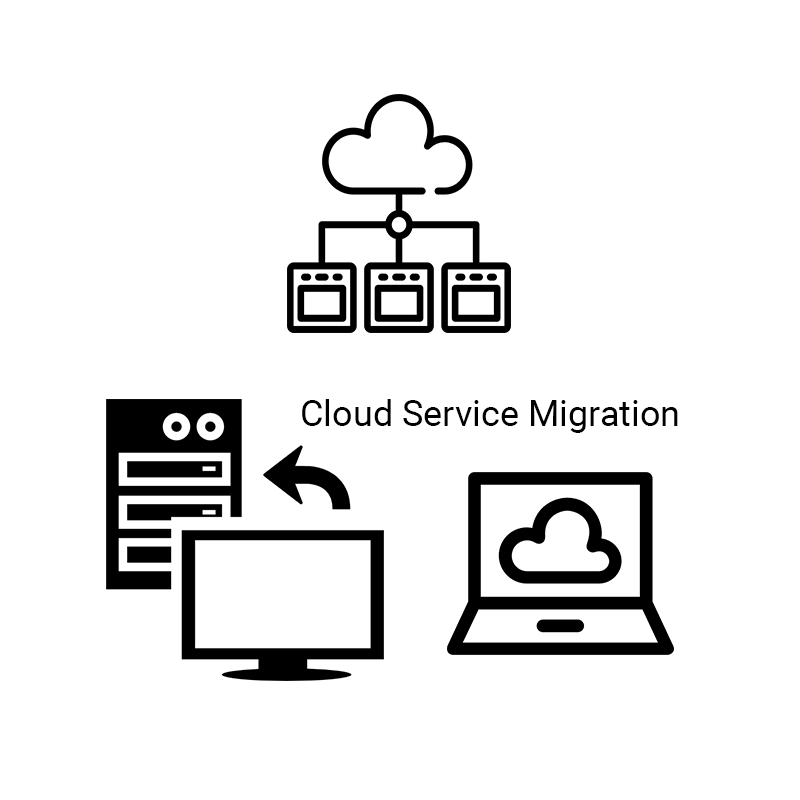 We follow the 6R’s of Application migration strategy , involves building fresh infrastructure in the cloud such as servers, storage and networking, then installing the legacy applications, followed by a data migration exercise. We help our customer with automatic, secure migration and provisioning of existing virtual machines. Capacity management, Resource analysis and automated provider configuration. We have been building API’s (application program interfaces) to migrate digital content in the cloud between diverse applications or databases. your technology needs in Cloud Computing. We are glad that you preferred to contact us. Please fill your requirements and one of our friendly team members will contact you back. Need Help? Click here !